What is gaming? Some of us will remember the old forms of gaming which began with arcades, the early PC’s, and the original game console Atari. (Remember Pong?) However nowadays we have definitely evolved in terms of gaming. We now have the new gaming consoles – Play Station, Xbox, Wii, there are now hand held systems which are portable and you can take pretty much anywhere (Gameboys-DS, PSP-PS Vita), your pc can now access more interactive games such as Ever Quest, World of Warcraft, Rift, and not to leave out mentioning your mobile device, the cell phone. It seems that everyone has a cell phone nowadays. From the youngest of youth to adults, the cell phone has become the first go to device for your electronic needs. Why, you may ask? Easy accessibility and convenience is probably the main reasoning for this. Think about it, where else can you instantly check your emails, read a book, text a friend, video chat, as well as play a game all on one compact device? Gaming because of its vast popularity and increased amount of users quickly made the crossover to include social media to their newly found audience. Thus allowing the gamer to participate and play in such games as Words with Friends, Farmville, etc. The users are now able to create profiles and interact with others virtually via social media. Some of social media platforms that are trending at this time are Facebook, Snapchat, Instagram, and Twitter. 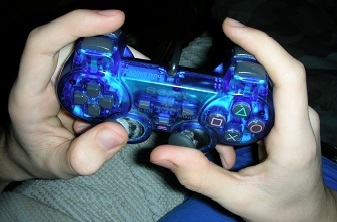 So how do you know that your child is becoming addicted to gaming? What are some of the symptoms? With the popularity of gaming increasing, more and more individuals are developing the gaming addiction. However, there’s hope out there. * Recognizing your child has a problem – This is the first step to change. * Remembering that guilt and shame could make the addiction worse. * Keep in mind, most of the games out there are designed to be addictive. * Asking for help is the second step – Be aware of the symptoms and seek a therapist that specializes in the treatment of adolescents and addiction would be a good starting point.